This recipe is perfect for anytime, but was a hit for Thanksgiving at my parent's house. I didn't tell the guys it was "healthier" and they gobbled it up like turkey. I love Harry Potter and when my sister sent me a link to this recipe on Facebook, I knew I had to make this treat ASAP. So, I edited my version a little to be a little quicker, a little cheaper, but just as delish! 1. Cook one pie crust as directed on package and set to side to cool. Let other crust thaw. 2. Mix pudding as directed on package (make as if for pudding, not for pie.) This is where the milk directions may vary, so just make sure to follow the package directions. 3. Mix pudding with 12 oz of whipped topping and 1/4 cup of caramel sauce. 4. Dump pudding mixture into pie crust and let sit in fridge for 3-4 hours. 5. While pudding is in fridge, cut lightning bolts (or other preferred shapes) from the thawed pie crust. Bake for approximately 10 minutes at 300 degrees. Set aside. 6. Once pudding has set, mix 4 oz of whipped topping with 1/2 cup of marshmallow creme. 7. Spread marshmallow mixture onto the pudding pie. 8. Place lightning bolt cutouts on top of pie. 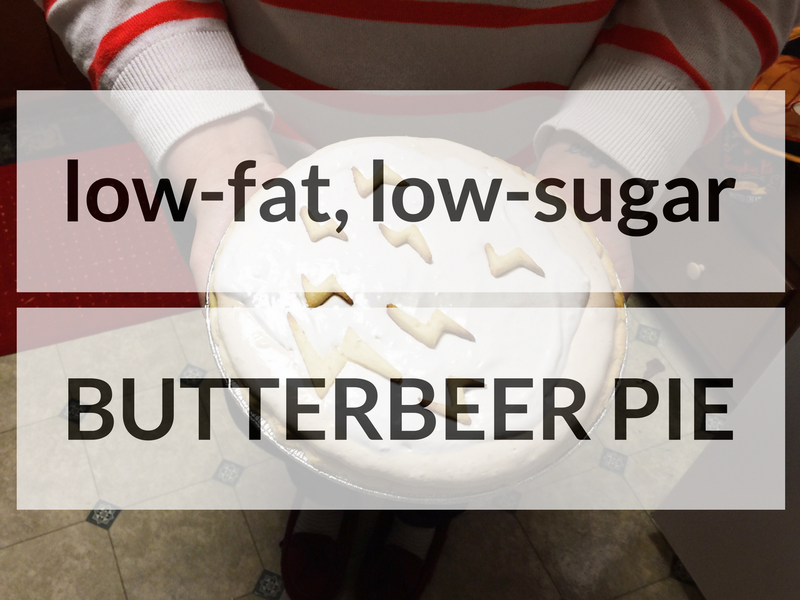 Do you have any go-to dessert recipes, or any Harry Potter-related dessert ideas? Let me know in the comments! Sounds delish! My friend got me the Harry Potter cookbook a few years ago but I've barely made anything from it - I should crack it open! You totally should (and I definitely need that! ).